Dja Faunal Reserve in Eastern Cameroon is one of the largest and best-protected rainforests in Africa, with 90% of its area left undisturbed. Almost completely surrounded by a natural boundary, a loop of the Dja river, the reserve is noted for its biodiversity and a wide variety of primates. The reserve became a UNESCO World Heritage Site in 1987, however despite active management since 1992, the wildlife of this important reserve remains in danger. Intensive logging activities and hunting pressure at the reserve periphery threaten the forest’s great apes. Some apes visit plantations at the village borders, damaging crops and leading to conflict with local communities. 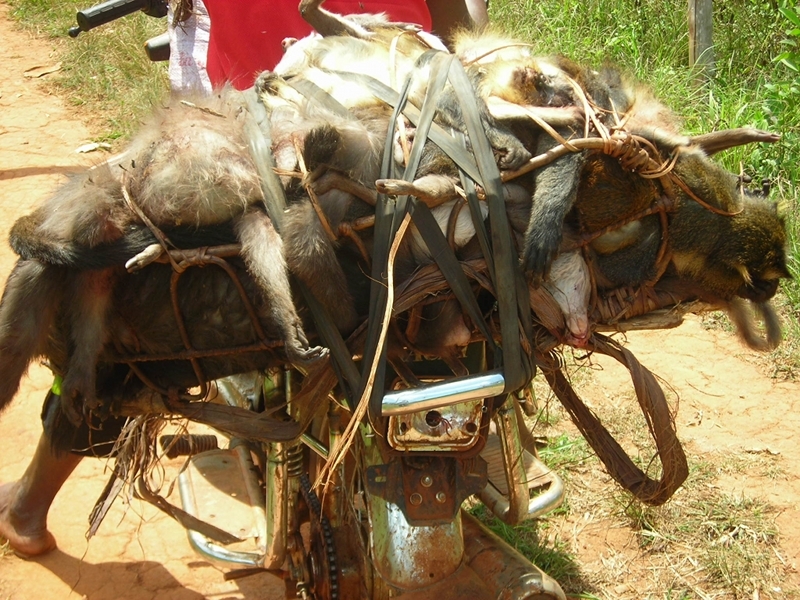 At the same time, as bushmeat becomes scarce, people push ever deeper into the reserve in search of protein. A team from the Royal Zoological Society of Antwerp established Projet Grands Singes in 2000 in an attempt to address the issues facing the northern periphery of the reserve. 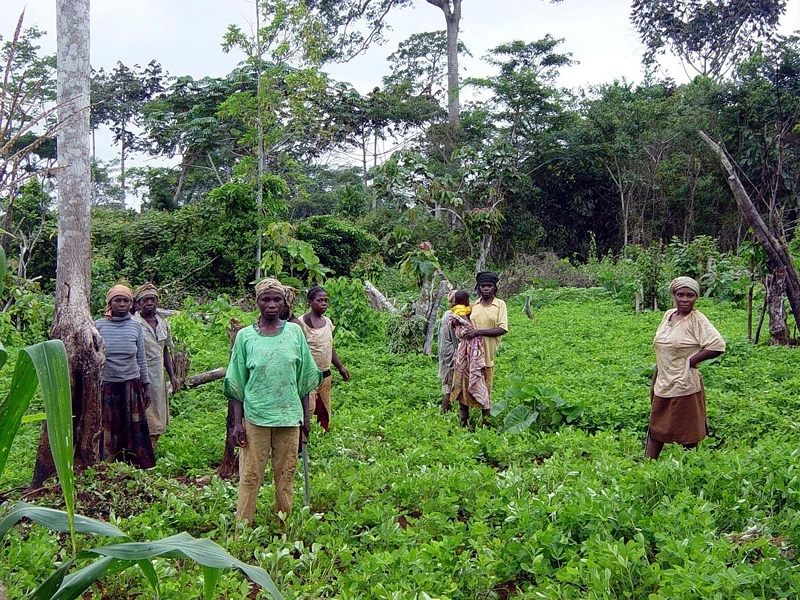 Realising the urgent need to engage local people, the project has evolved from a great ape study into an integrated conservation and development project combining research and education. 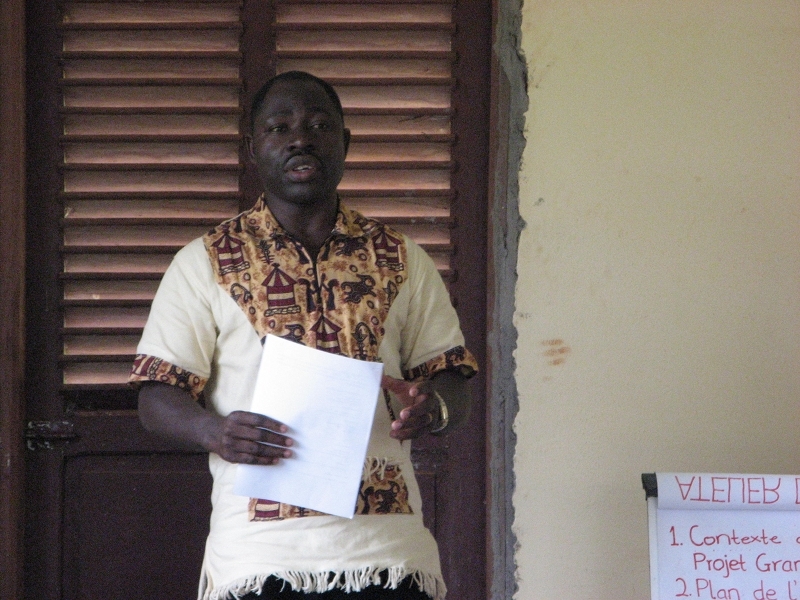 Now in its fifth year, and led by 29 year old local Cameroonian biologist, Manfred Epanda Aime, a key aim of the project is the development of a participative management plan to bring hunting under sustainable control. At the same time as involving local communities in wildlife conservation, small-scale development projects are helping them find alternatives sources of income to poaching. A great achievement has been seen in the signature of an agreement between local communities and the Conservation Service of the reserve to create and implement a management plan. Backed by national legalisation, a Community Wildlife Management Committee has been established to implement the plan through stakeholder agreement. Highly respected by local people, Manfred now acts as a vital link between local people and official ecoguards from the Ministry of forest and wildlife, communicating requests for support to help locals protect their forest against poachers. Manfred is now expanding anti-poaching activities and integrating three further communities living at the reserve periphery into the program. Central to the project is the support and enthusiasm of the local people is. It is hoped that success here will produce a model that can be replicated at other reserves in Central Africa to conserve great apes, which in turn will open the way to scientific tourism and even greater incentives for conservation.